The launch of INSTEX — "Instrument in Support of Trade Exchanges" — by France, Germany, and the UK this week to allow "legitimate trade" with Iran, or rather effectively sidestep US sanctions and bypass SWIFT after Washington was able to pressure the Belgium-based financial messaging service to cut off the access of Iranian banks last year, may be too little too late to salvage the Iran nuclear deal. Tehran will only immediately press that more than just the current "limited humanitarian" and medical goods can be purchased on the system, in accordance with fulfilling the EU's end of the 2015 JCPOA — something which EU officials have promised while saying INSTEX will be "expansive" — while European companies will likely continue to stay away for fear of retribution from Washington, which has stated it's "closely following" reports of the payment vehicle while reiterating attempts to sidestep sanctions will "risk severe consequences". As a couple of prominent Iranian academics told Al Jazeera this week: "If [the mechanism] will permanently be restricted to solely humanitarian trade, it will be apparent that Europe will have failed to live up to its end of the bargain for Iran," said political analyst Mohammad Ali Shabani. And another, Foad Izadi, professor at the University of Tehran, echoed what is a common sentiment among Iran's leaders: "I don't think the EU is either willing or able to stand up to Trump's threat," and continued, "The EU is not taking the nuclear deal seriously and it's not taking any action to prove to Iran otherwise... People are running out of patience." 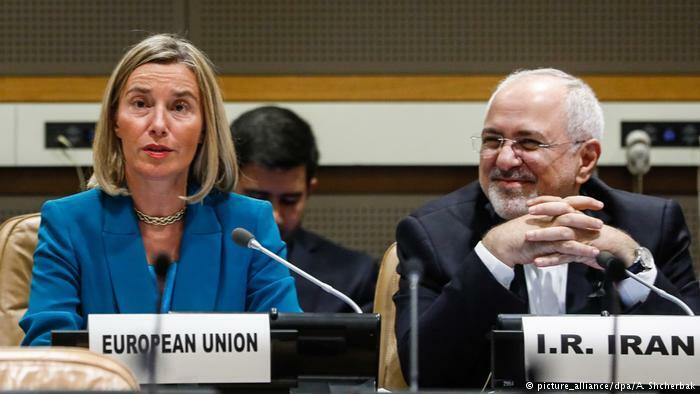 But Iranian leadership welcomed the new mechanism as merely a small first step: “It is a first step taken by the European side... We hope it will cover all goods and items," Iranian Deputy FM Abbas Araqchi told state TV, referencing EU promises to stick to its end of the nuclear deal. The European side also acknowledged it as a precondition to keeping the nuclear deal alive, which EU leaders sea as vital to their security and strategic interests: "We're making clear that we didn't just talk about keeping the nuclear deal with Iran alive, but now we're creating a possibility to conduct business transactions," German Foreign Minister Heiko Maas told reporters on Thursday. "This is a precondition for us to meet the obligations we entered into in order to demand from Iran that it doesn't begin military uranium enrichment," Maas said. A "special purpose vehicle" that will allow European businesses to trade with Iran, despite strict US sanctions. According to media reports, INSTEX will be based in Paris and will be managed by German banking expert Per Fischer, a former manager at Commerzbank. The UK will head the supervisory board. Technically US sanctions allow some limited humanitarian trade and limited goods; however the White House's "maximum pressure" campaign on Iran has still scared away European giants like Seimens, Maersk, Total, Daimler, Peugeot, Renault, and others. Thus far a number of analysts and observers have remained far less optimistic than the European sponsors of INSTEX. One particular interview with geopolitical analyst and journalist Luc Rivet, cited in Russian media, outlines the likelihood for failure of the new payment vehicle: “I don’t know what companies will make use of that mechanism to sell to Iran,” Rivet said, noting that countries still consider it "dangerous" to be caught working with Iran. Who produces this equipment? You think that Siemens will sell to Iran? Never, because they sell to America many other things as well… And Siemens is afraid of losing the American market. And the New York Times in asking the same question — But Will Anyone Use It? — concludes similarly that "given that most large companies have significant business in the United States, very few — if any — are likely to use the trading mechanism for fear of incurring Washington’s wrath." But the financial mechanism could make it easier for smaller companies with no exposure in the United States to trade with Iran and could promote trade in medicine and food, which are not subject to sanctions. European diplomats say that, in the beginning, the concentration will be on goods that are permitted by Washington, to avoid an early confrontation. But much could also depend on just how fierce the White House reaction will be. If the past months' Trump administration rhetoric is any indicator, it will keep large companies scared and on the sidelines.